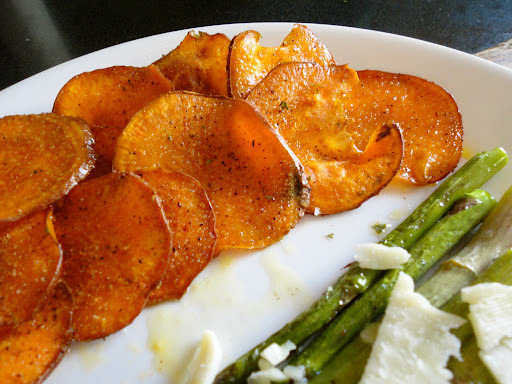 I noticed my sweet potato looking a little sad, and since I had time I decided to make sweet potato chips. Usually I bake them with a herbed dressing, however this time I decided to use a spice blend that I picked up (for my dad) in Montreal from Schwartz’s Deli. 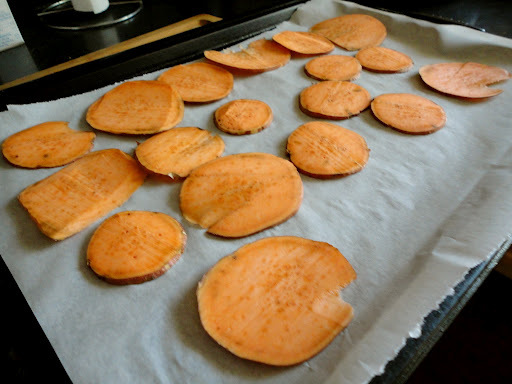 Using a mandolin, I thinly sliced the potato, and placed on a cookie sheet covered with parchment paper. I drizzled some extra virgin olive oil on top, and made sure all the potatoes were coated. I placed the sheet in the oven at 375F and left them in for 8 minutes. My oven is pretty strong, so I checked up on the potatoes every few minutes to make sure they didn’t burn. Once the potatoes looked crispy, I topped them off with some spice. 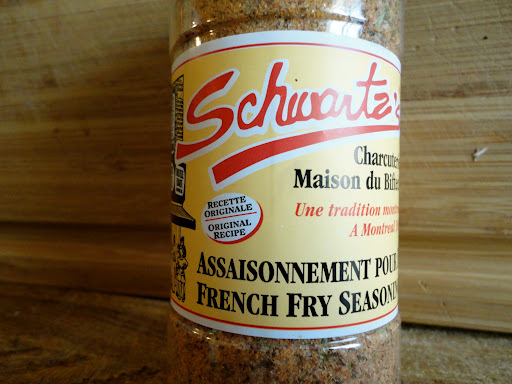 Next time I go to Montreal, I’m stocking up! 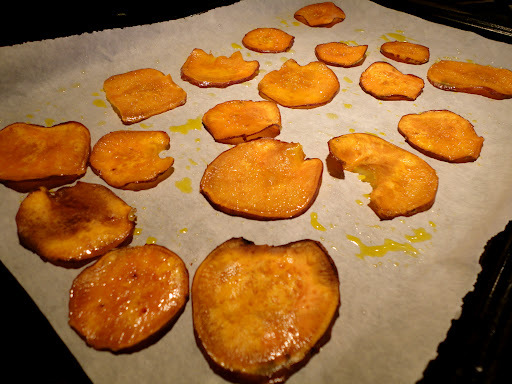 What’s your favourite sweet potato recipe?